Well known for yacht charter is Turkey and is a spectacular destination, with more coastline than any other country in the Mediterranean, where even those with the highest expectations will not be disappointed. This country has become one of the most important yachting destinations and highly sought after for all kinds of yacht charter. 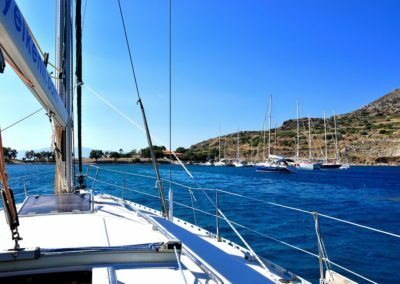 A well planned Turkey yacht charter is sure to allow you to get away from it all and get immersed in this beautiful natural environment of the Mediterranean. Sailing through the pristine turquoise water is by far the most dramatic way to explore this stretch of coastline and doing this aboard a traditional Turkish charter gulet is even more special. One of the most frequented and photographed beaches is Oludeniz and Blue Lagoon, well known for its serene, clear-blue ocean waters, warm enough for swimming, most water-sports and a paragliding mecha. The incredible Sunken City of Kekova is a protected Lycian-Roman archeological site and of historical importance and is also well worth a visit while on your yacht charter. All are easily included in your Turkey charter itinerary. The ruins of the ancient city Caunos from 3000 BC, which are easily accessible and well worth exploring is another interesting and historically important location to add to your yacht charter itinerary. Fethiye is a great place for shopping for souvenirs. You should also try a traditional Turkish Bath, followed by a soothing massage before returning aboard your yacht. Visit Marmaris which is a bustling town, busy shops, markets and amazing nightlife. Or opt for Bodrum, that have many good bars, restaurants and some of the best open-air nightclubs. This coastline has more trees than the rest of the Mediterranean areas, and you might find a few beautiful waterfalls. Along the serene coasts of the Aegean Sea and Mediterranean, you’ll sail within aqua-marine sparkling water and hidden bays that were once inhabited by the Romans, Greeks, Lycians, Carians and Byzantines. This is something truly special for a yacht charter. You can also charter your yacht near ancient ruins and archaeological sites, Greek cities, Roman harbours and Crusader castles. It’s no surprise that Turkey has such a incredible wealth of culture, steeped in history and intrigue. Turkish cuisine can be described as a mixture of Asian and European and with the traditional shish kebabs and raki, there is a huge selection of amazingly fresh vegetables and good wine available, along with other provisions in the marinas. Bodrum is the largest yacht charter base in Turkey and boasts the magnificent Knights of Rhodes Fortress. All facilities are available to purchase provisions for your yacht charter while strolling through the town. Soak in the Turkish baths of Cleopatra at Haman, or simply, enjoy the cuisine and lively dining at a vibrant seaside cafe… the list just goes on and on for your charter fun! 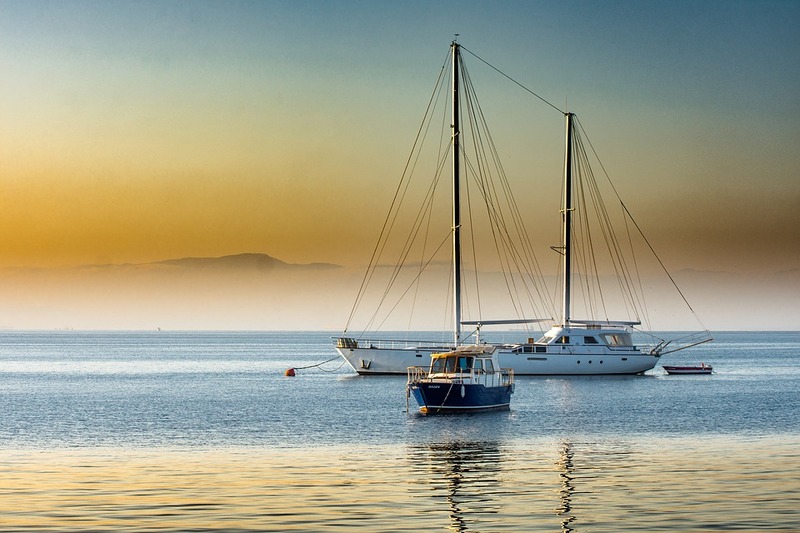 Turkey has a lot to offer and the Mediterranean climate makes Turkey a prime yacht charter destination. Visit Bodrum which is an idyllic beach resort during the day and a pulsating entertainment hub by night. It is an important and sought after yacht charter destination in the Eastern Mediterranean that is a distinctively Turkish tourist centre renowned for its rich cultural history. Bodrum is set on a perfect spot on the picturesque peninsula and features an old castle that was built during the 15th century, diverse array of boutiques and shops and fine restaurants and effervescent nightlife make the perfect start or end to a charter holiday. The town of Fethiye is one of the more popular holiday destinations in Turkey and this popular and idyllic yacht charter holiday resort lies some 135 kilometres off the south-western section of Marmaris within the province of Mugla. It is famous for its near-perfect and busy marina. Known in ancient times as Telmessos, it features an impressive fortification which is set on the hill that straddles the old city. 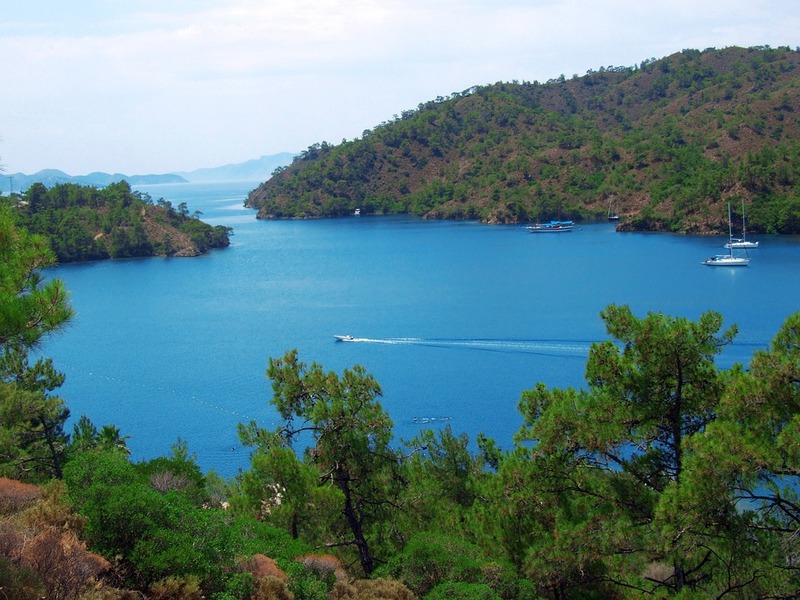 Aside from its magnificent marina, Fethiye is popular for its ancient rock tombs of Lycians. These rock formations have been carefully and elaborately carved on the cliffs and one of the more popular rock tombs is the Amnytas tomb, which is one of the oldest and dates back to the 4th century. Fethiye is also famous for other “old” attractions such as the Fethiye tower, the ancient theatre and a significant number of sarcophagi – if you are into that sort of thing. Famous Gocek – just like in Fethiye and Marmaris, a visit to the rustic town of Gocek is a journey to the storied past of Turkey. What is most notable about Gocek is its strict adherence to rigid development and construction regulations that are geared towards the protection of the city’s rich cultural heritage and tradition. Despite being a mainstream tourist centre in the region, the main attractions of this popular yacht charter holiday destination are its archaeological structures and historical landmarks, which is well-preserved and protected. Creating this amazing environment. What was once a cute little fishing port, Marmaris has grown considerably over the last 20 years. 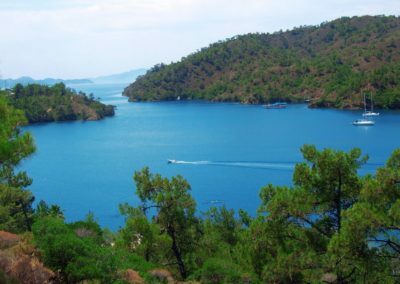 It is now a popular and thriving coastal town which attracts many luxury Marmaris yacht charter vacations. On shore, the quay is graced with several worthwhile rustic local restaurants and bars which create an ambience for relaxing during the warm Mediterranean evenings. For those charter guests who are interested, there are also the bustling bazaars in the old quarter of town to visit. This is a very popular charter starting or ending destination point. 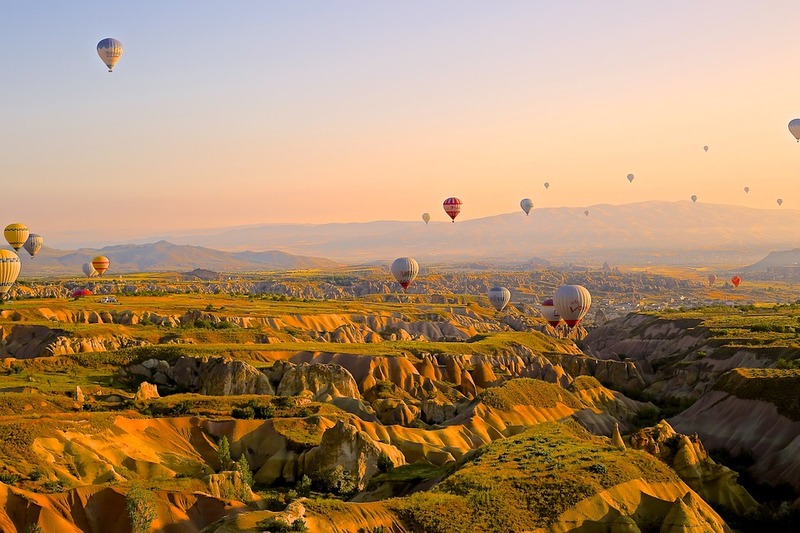 Most of the Mediterranean enjoys 315 cloudless days per year and Turkey has even more. During the peak of charter season, between April and October, the skies are blue and the waters are warm. In midsummer, charter guests enjoy glorious sunsets and long evenings, under gentle winds and still seas. 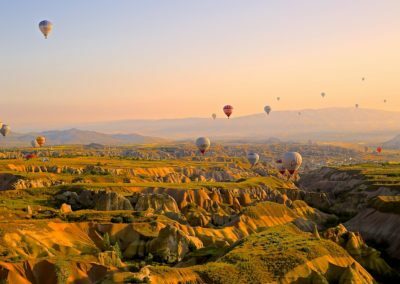 With the stunning coastline, dotted with hundreds of coves and bays, and an endless myriad of history and culture to explore, Turkey has an undeniable charm and intrigue and without a doubt is a great charter destination. All the main types of yacht charter boats are available in Turkey including Turkish gullets, motor and sailing yachts, skippered and crewed yachts, catamaran, sailboat, luxury yachts and even the occasional super yacht charter. 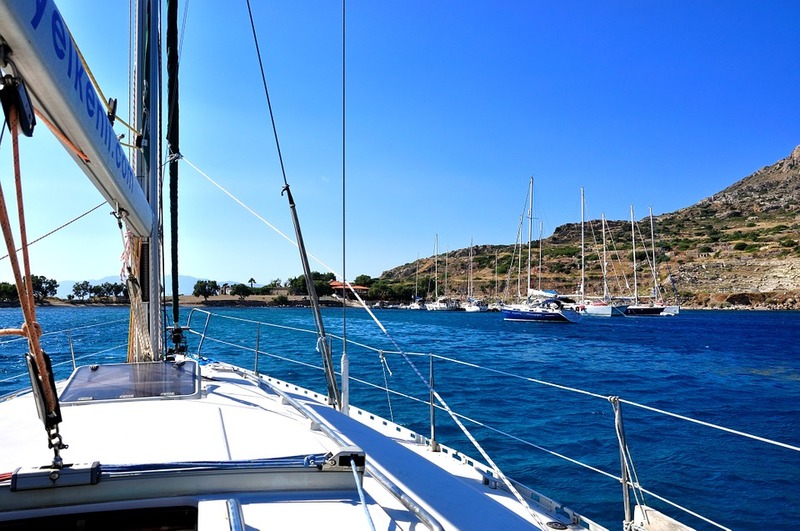 Charter your own yacht and come to sample some of the delights of Turkey and the wonderful Turkish coast.